Franck Chartrain, born in 1971, is a French creator in art furniture and artwork who expresses his design through outstanding savoir-faire. He graduated from the french College of "Les Compagnons du Devoir", founded during the middle ages, which is specialized in teaching excellence in craftsmanship and design history. Therefore, being a specialist in those fields, he started to look for conceptions requiring an uncommon quality of realization. He started by teaching how to forge and make different styles of ornamental metal work. Then, with the desire to expand his horizons he decided to do pieces using exceptional skills. 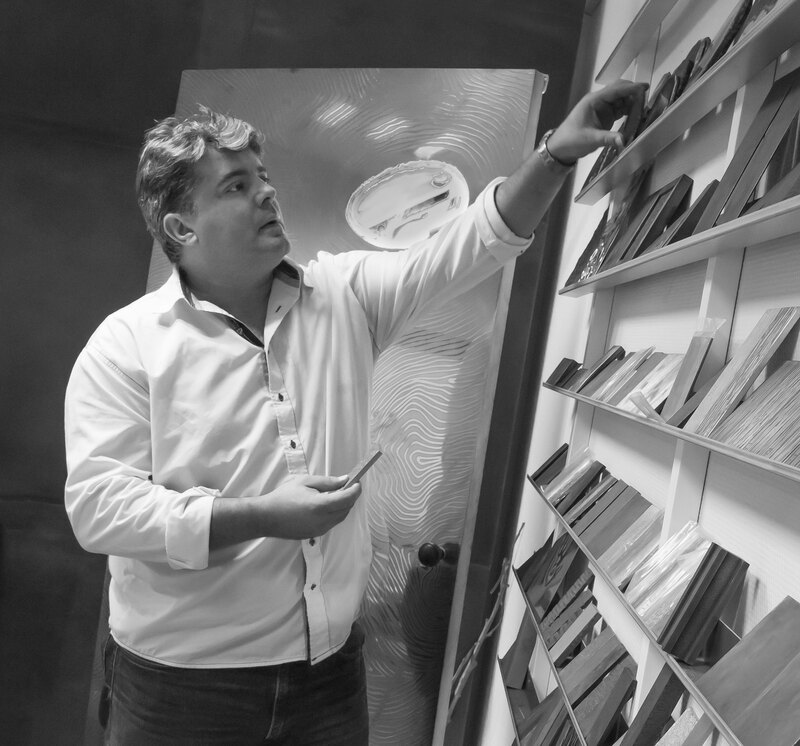 He opened a studio in 2002 in the United States of America, dedicated to making high end projects in metal. From there, he established a reputation of connoisseur in conception and fabrication among famous interior designers and architects worldwide. 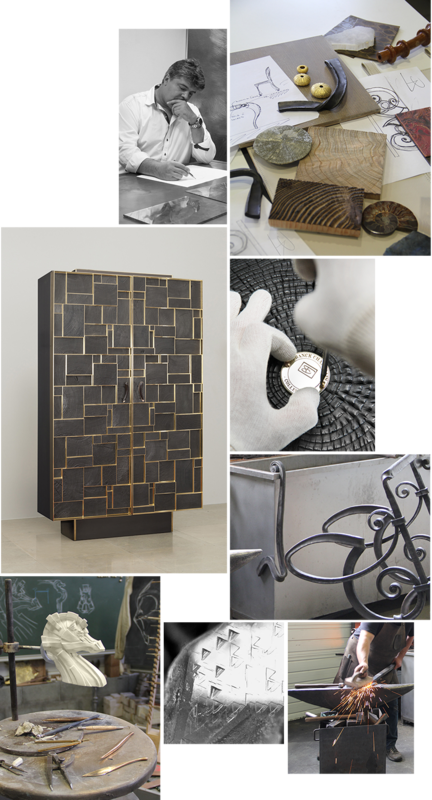 - In 2006, he met and worked with the Lalanne, his "colleagues", who encouraged him to create his own pieces . - In 2009, a new studio was opened in France, developing engineering research in order to go further in his work. - In 2012, "The Franck Chartrain Collection" was ready to display 15 years of personal work and dedication. 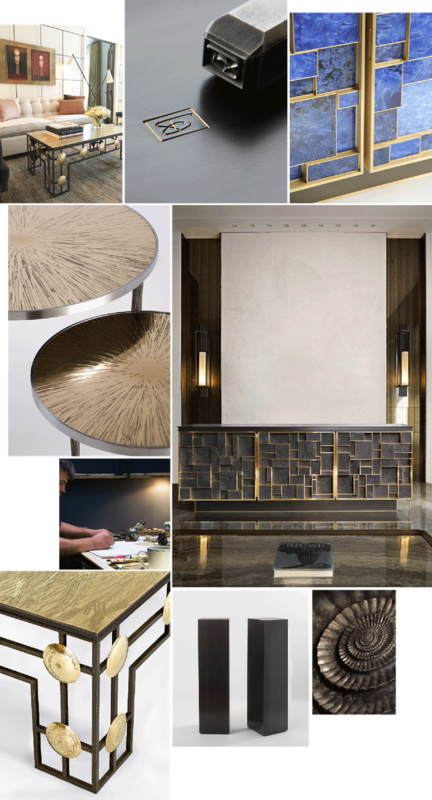 The strong distinction of these pieces renders them immediately recognizable, from the sculptural design to the flawless finish quality, genuinely moving clients by their exquisite precision. The Franck Chartrain Collection is now in demand among collectors, international designers, and famous jewelers. His work is featured in exhibitions abroad, in galleries such as "Maison Gerard" in New York City, as well as the biggest art fairs around the world. Ranging from "The International Fine Art § Antique Show", to the Park Avenue Armory in New York City, and "Revelations" in The Grand Palais, Paris, France. Franck Chartrain's workshop was named "Métier d'Art" in 2012, and has also earned prestigious awards, such as the "Living Heritage Company", also known as the EPV label which is a mark of recognition of the French State put in place to reward French firms for the excellence of their craftsman skills. Based on his strong training, Franck Chartrain is able to realize his own pieces transmitting remarkable savoir-faire to his team. Beginning with the initial sketch, esthetical drawings, and study of all the technical aspects, assembly, textures and patina, each piece will exclusively represents the Franck Chartrain Collection. It requires Franck's expertise, and his knack for design to invest the piece with remarkable personality through the craftsmanship gesture. Each piece from the Franck Chartrain Collection is demonstrating a virtuosity of realization in the tradition of art furniture's great masters.